In 2014 my story about my transition from a lawyer to a gardener featured in a book called, How To Grow A Gardener. Click this From Law to Lawns link to read my story featured in the book. 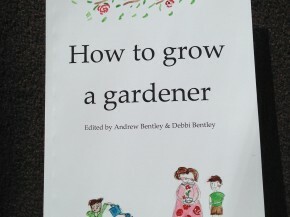 The book was a collection of stories recounting how 25 people became gardeners. Each individual story was a unique and personal journey about how they became a gardener. Many of these gardeners had a relative, friend or neighbour who enjoyed gardening – this was either a parent, grandparent, auntie or uncle, friend or neighbour who had introduced them to gardening at a very young age. The person who introduced me to gardening was my Mum. When I was very young we lived abroad and our family never had a garden. We lived in a flat. When we moved to East Kilbride, towards the end of my primary school education, we had a garden for the first time. It was fabulous. My brother and I played football on the back lawn with my Dad, and my Mum would potter around planting a variety of colourful plants in a small flower border and in terracotta pots. She would encourage my brother and I to help. Perhaps by doing so she encouraged us to take more care of the plants, especially by avoiding hitting them with our football. My Mum also had gardening magazines, catalogues, newspaper supplements and books – everything a young, budding gardener would need. 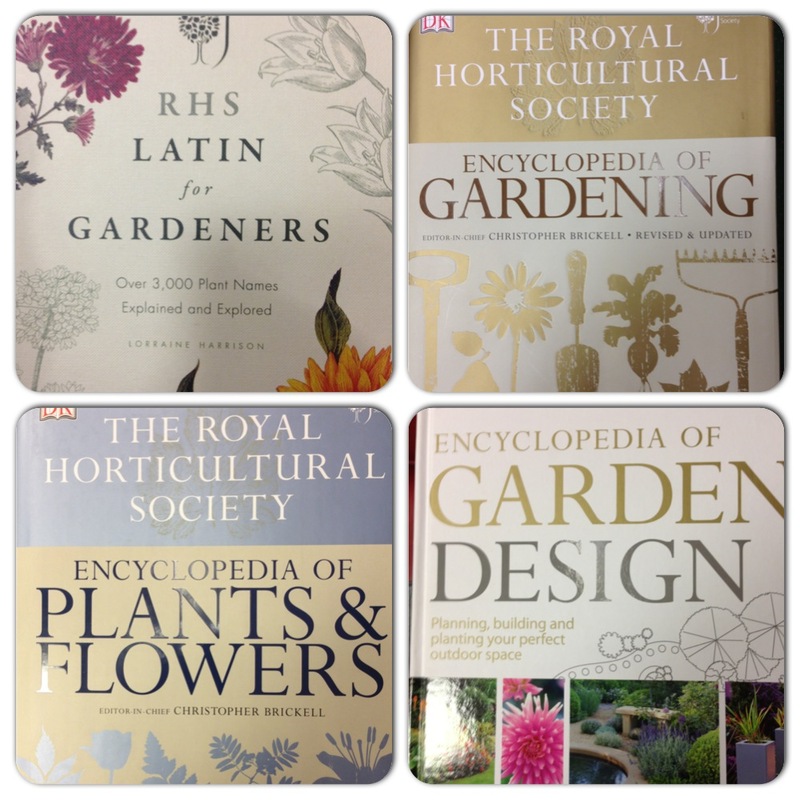 I recall looking through them and being amazed at all the different types, sizes, names and colours of plants. I had never seen so many plants. Sometime between this young age of being amazed by plants and into my mid to late 20’s I forgot about gardens and plants. It doesn’t happen to every teenager, but for me, being a gardener was not on my to do list. It wasn’t until my Dad became too poorly to help my Mum in the garden that I began getting back into gardening – and now, I absolutely love being a gardener, and I love gardens and gardening. So much so that I turned my love of gardening into a business. I now earn my living as a gardener. I have my own children now. My wife and I enjoy gardening with our children. They enjoy watching plants grow. They even have their own plants growing year after year. We plant hanging baskets in summer and we enjoy seeing whose basket produces the best colour combinations. It’s fun. 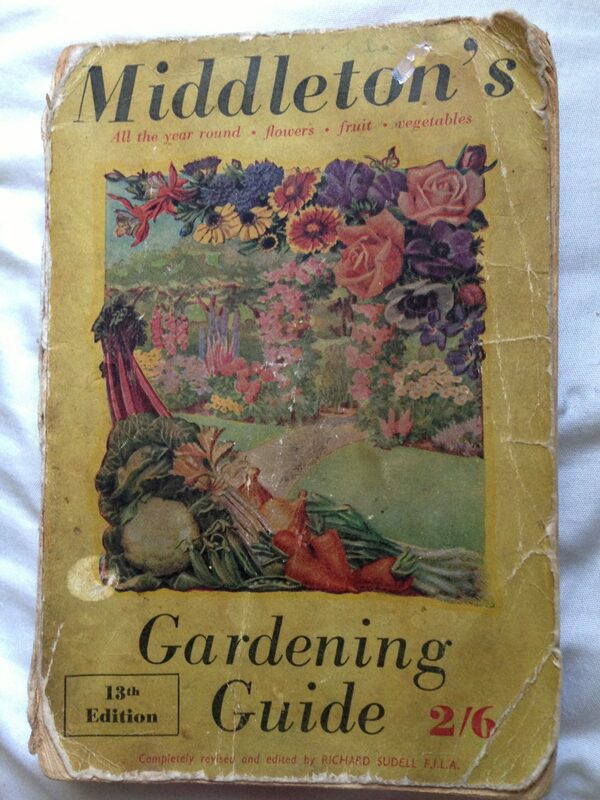 I look through gardening books with my children just as I did with my Mum when I was their age. I’m sure their interest in gardening and being a gardener like their Dad will fade in their teenage years. However, I know I will have planted a gardening seed in their heads. I know I will be growing two gardeners, and knowing they might one day find the peace, tranquility, thrills, love, enjoyment and excitement of being a gardener in their own garden makes me feel extremely happy. I would encourage all parents, grandparents, aunties and uncles who enjoy gardening to pass on this enjoyment to their children, grandchildren, nieces and nephews. Friends and neighbours can also pass on their love of gardening to each other. 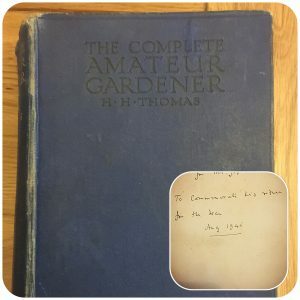 I have a gardening book that was given to me by an elderly neighbour. The book had been given to a friend of theirs. The first edition of this gardening book was published in 1924 and the edition I have was published in 1935. The handwritten inscription inside reads, ‘To [name] from [name], to commemorate his return from the war, Aug 1945’. My Mother-in-law remembers the man who was gifted this book – he lived on the same street. He loved his garden, and kept it looking beautiful. Perhaps, by the gift of this book from one neighbour to another, a gardener grew. That is how to grow a gardener. Pass it on. Pass on your love of gardening, and you too can grow a gardener.